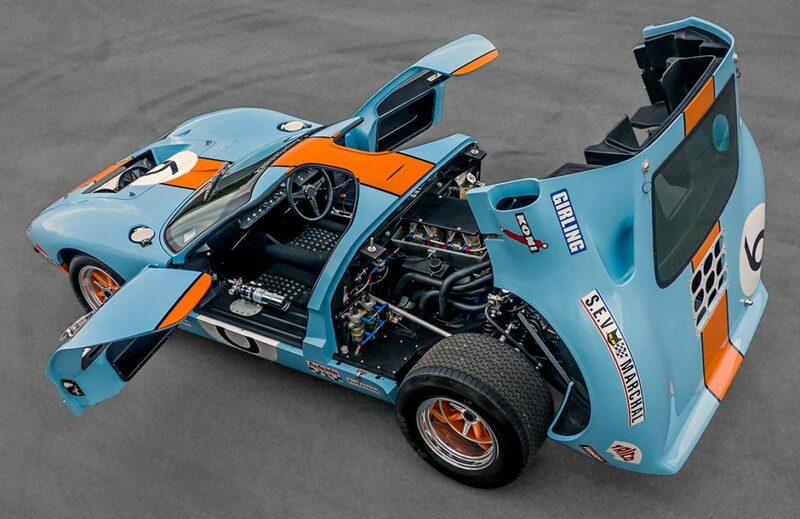 Superformance GT40P2212 is a Mk1 body style GT40 painted in 1968/’69 Gulf Livery. 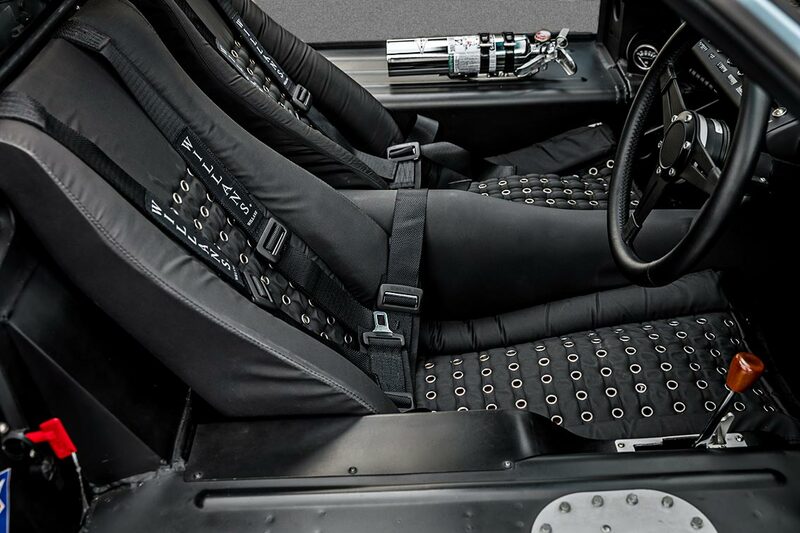 This build was crafted and painstakingly augmented to replicate the back-to-back LeMans Championship P1075 car to exacting detail. 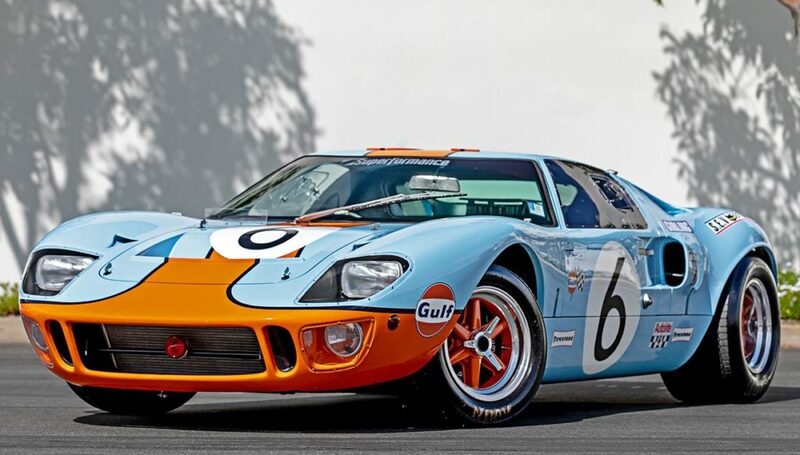 The original owner ordered this Superformance GT40 Mk1 with the extra-wide body option, and with RHD. Adding 14″ wide wheels with Avon historic hand-grooved rubber provides this ‘fab forty’ with the correct—menacing—stance. He then invested the time and treasure to carefully replicate every exterior component to display his GT40 in the same competition livery as at the 1969 LeMans 24-Hours. 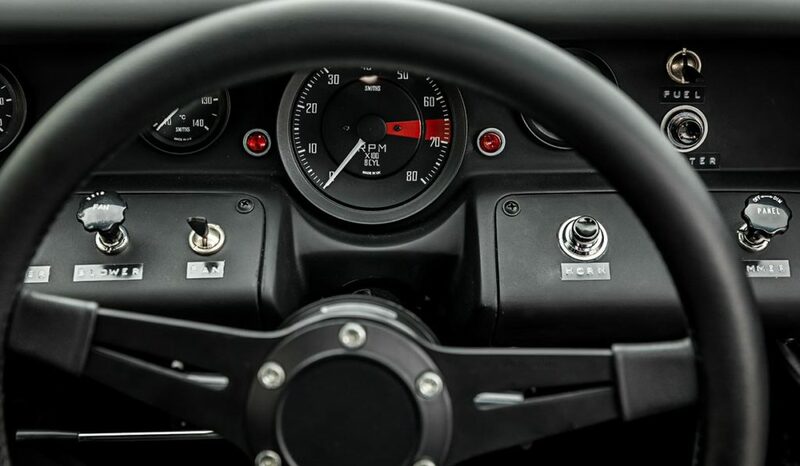 Said livery and trim items include: raised Zeus fasteners, exterior pit light, front running light, bug deflector, decal kit [needs only the “6” attached], round fog lamps, exterior power cutoff switch, turn signals, twin pin rear clam. to see it at a much larger size. 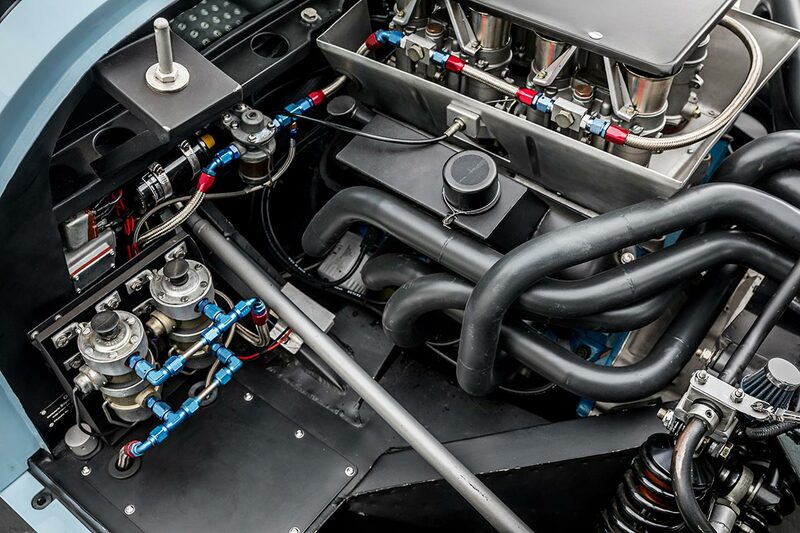 Then it’s topped with four (genuine) 48 IDA Weber carburetors, jetted and set-up with period-correct side-pull linkage, with period-correct engine cover. 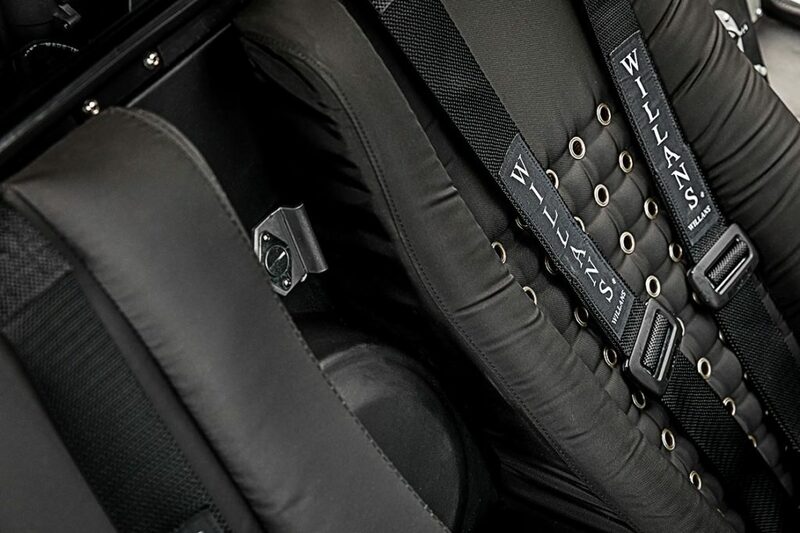 The engine delivers over 400 hp to the flywheel. Click on the broadside shot above to see it at a much larger size. 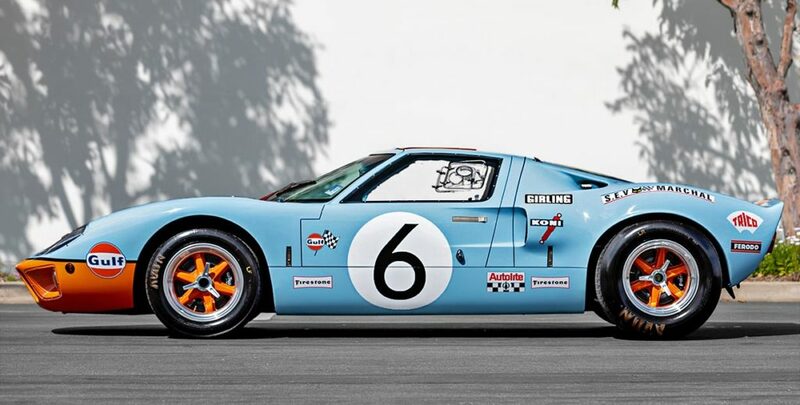 Original-correct roster includes: interior door latches, race-correct seats, under-dash handbrake, FAV (Ford Advanced Vehicles) ID tag, gauge layout, fuel gauge, and fire extinguisher positioning. Click on the “all decks open” shot above to see it at a much larger size. 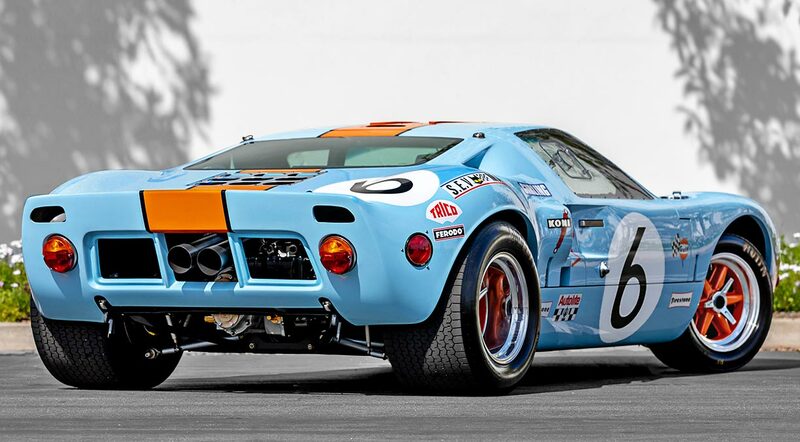 Every Superformance GT40 is stamped with a Continuation P-Series chassis number along the line of the original P1000 Series GT40s of the ’60s. Superformance GT40s are also eligible for inclusion in the Shelby World Registry. 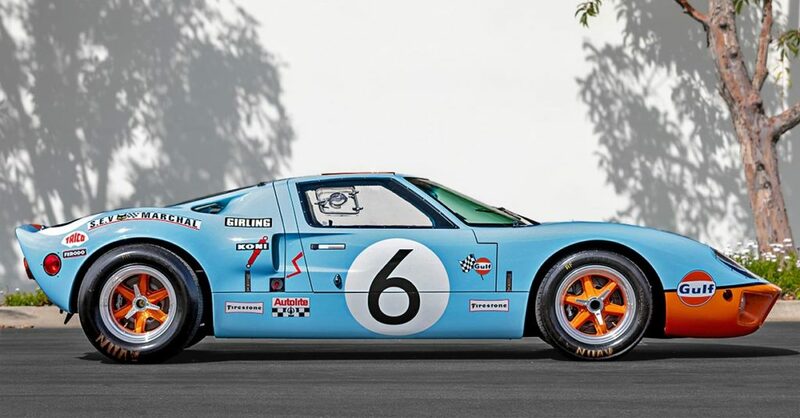 In its current condition, GT40P2212 would cost you over $245,000 to replicate, including engine, transaxle, installation, and chassis mods.